The Supertouch 28163 Seamless Terry Cotton Gloves are soft and comfortable gloves that provide excellent general purpose barrier protection. 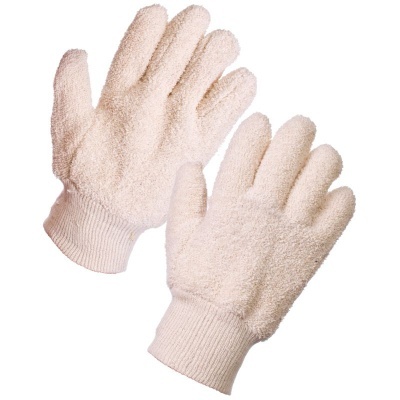 Supplied in a natural, seamless design, these gloves are a popular choice for tasks ranging from utensil to light metal handling. The Supertouch 28163 Seamless Terry Cotton Gloves are available in a universal design that should fit most adults.